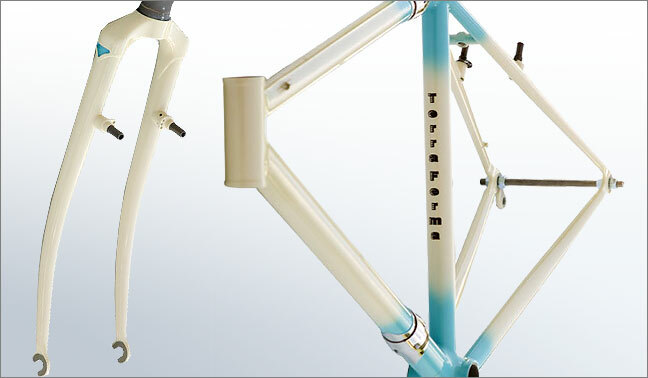 The Terraferma Northern Cross is available as a silver brazed lugged or filet brazed frameset with tubing and geo tuned to the individual rider. Chainstays are now custom bent to provide more clearance for mud. Unlike the modern cross geo of the Northern Cross the silver brazed lugged Terraferma Southern Cross mimics the geometry of a 70's Alan cross bike. The trail is much lower (50) then is the norm today and provides for very nimble handling.